A natural tooth consists of a root and a crown. If you compare natural teeth to implant-supported replacement teeth, you’ll see they have the same basic parts. Both have a crown (the visible part used to chew food). Both have a root that holds the tooth securely under the gum and is anchored into the jaw. The difference is that the implant is made of titanium – the same time-tested material used by surgeons for artificial joints. When you lose a tooth, you lose both the root and the crown. To replace the tooth, Dr. Thompson first replaces the root with a dental implant. Time is allowed for bone to heal and grow around the dental implant. The bone bonds with the titanium, creating a strong foundation for artificial teeth. A support post (abutment) is then placed on the implant and a new replacement tooth (crown) is placed on top of the abutment. In a few cases, mainly upper anterior teeth, a temporary replacement tooth can be attached to the implant immediately after it is placed. If all of your teeth are missing, a variety of treatment options are available to support the replacement teeth. The procedure to place an implant usually takes 30 to 60 minutes for one implant and maybe 1-2 hours for multiple implants. The number of appointments and time required, vary from patient to patient. Dr. Thompson and his surgical staff will bring great precision and attention to the details of your case. Anesthetic options can be discussed with you at your consultation appointment. A local anesthetic will be administered to numb the area where the implant will be placed. When you are comfortable, a small incision is made in the gum tissue to reveal the bone. Then space for the implant is made using special instruments. Then the titanium implant is gently inserted. The top of this implant is sometimes visible through the gum. Sometimes it is better in the early stages of healing to have the implant covered by the gum tissue. Now the healing begins. The length of time varies from person to person, depending upon the quality and quantity of bone. In rare cases, implants may be restored immediately after they are placed. Dr. Thompson will advise you on follow-up care and timing. After the initial phase of healing, a healing cap is placed onto the implant during a brief follow-up visit. This allows gum tissue to mature and provides access to the implant. Whether it’s one tooth or all of your teeth that are being replaced, your family dentist will complete the restoration by fitting the replacement tooth (crown) to the dental implant. Implants are most often placed approximately 4 months after extraction. At times, an implant may be placed immediately after extraction of a tooth. 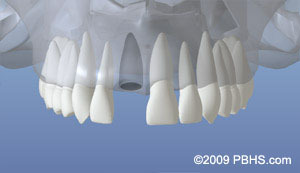 When infection or other considerations with the bone are present, immediate implant placement is not the best treatment. Usually the option of immediate implant placement is limited to upper anterior teeth. 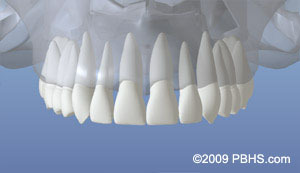 Most frequently, one implant per missing tooth is placed. Implants come in different shapes and sizes to most accurately match the size of the missing tooth root and the bone available. For more information about Overview of Implant Placement or to schedule a consultation with Dr. Thompson, call our office in Kokomo, IN at Kokomo Oral & Maxillofacial Surgery Phone Number 765-453-5444.